Cultural District Foodie Tour - all inclusive. 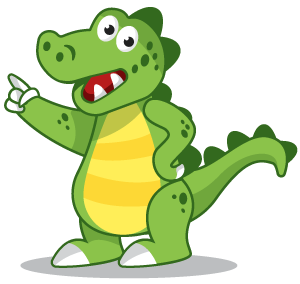 Try something new & fun with GiftGator! HomeIndulgeFoodie Tours Cultural District Foodie Tour – all inclusive. Try something new & fun with GiftGator! Enjoy the informative and tasty Cultural District tour – this area is full of history, art and fabulous food from local artisans. A maximum of 10 per tour so book early! Everything Included. This exceptional Foodie Tour runs Thursdays from 1:00 – 4:00 pm and stops at 5 different eateries plus a special historical site. Take a walking tour through 6 blocks while viewing a variety of amazing cultural institutions. Your guide will also point out museums, public artworks, a Waterfront Park, art galleries and performance venues. The Cultural District Foodie Tour is perfect for tourists and locals alike with its amazing dining locations! Learn about Kelowna’s unique history while trying our new and amazing local food treats. Why take a Food Tasting Tour? Because it’s a great opportunity to sample new foods and restaurants. The food samples have been carefully selected for your dining pleasure! You have a chance to learn about the area in a fund and informative way. Finally, you can meet local restaurant owners and chefs and make new friends with your Foodie Tour buddies. There is a maximum group size of 10. If you have a larger group email us and we can make arrangements for you info@giftgator.ca. This tour is also great for singles who want to try something different in a fun and relaxed atmosphere. Wear comfortable walking shoes and dress for the weather as tours go rain or shine. If you, or someone in your party, has mobility issues or is confined to a wheelchair please let us know so we can ensure that suitable arrangements can be made info@giftgator.ca. If you have serious dietary restrictions please email us at info@giftgator.ca and we’ll advise the food stops in advance. All food costs and gratuities for restaurant staff are included in the price. Also, please note, all tickets must be purchased in advance so the restaurants can plan and prepare. Tours can and do sell out, so don’t delay in booking for the date you want. Rose’s Waterfront Pub. Great scenery, food and drinks in a friendly and relaxed atmosphere. It’s a perfect location to start off the tour. Dawett Fine Indian Cuisine. Dawett’s brings a little spice to the tour and has turned many guests into fans of authentic flavors from India! The Bike Shop Cafe & Catering Co. Healthy and delicious comfort food in a relaxed atmosphere sums up this bike-themed stop. La Petite Maison. Specializing in mouth-watering French and Italian cuisine, this is truly a hidden gem in the area. The Rotary Centre for the Arts Bistro. Try a refreshing locally made gelato to perfectly finish off your tour. Refunds or rescheduling will be allowed with more than 48 hours notice. Rescheduling or cancellation requests with less than 48 hours notice cannot be refunded. You can, however, sell or give your tour seat to sometime else if you cannot make it and you have missed the allowed cancellation window.